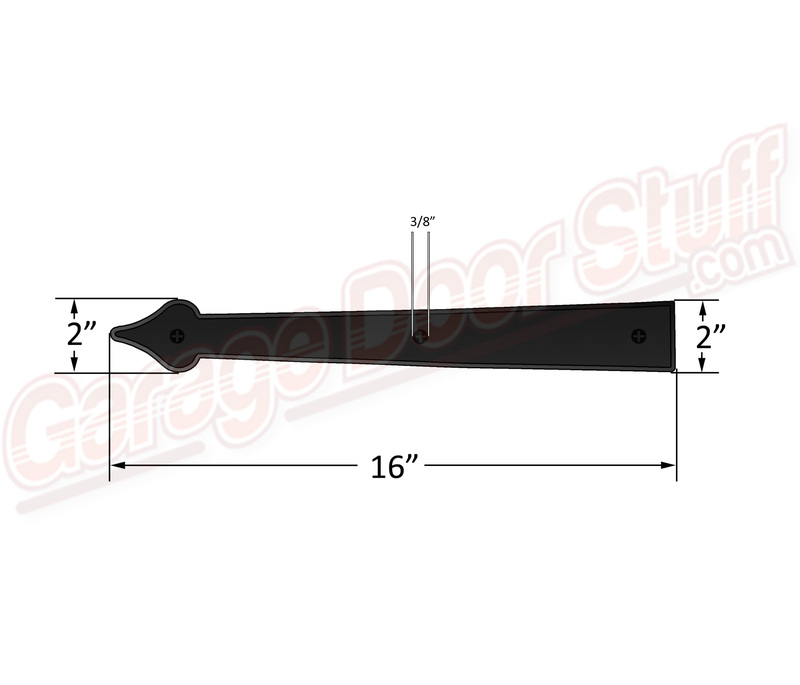 This outstanding magnetic decorative garage door hardware is made of durable ABS plastic. Magnets are ultra strong neodymium. This product will not rust, chip or bleed. Non corrosive, easy to install, weather tested. This magnetic decorative garage door hardware is a vast improvement over typical magnetic decorative hardware. It is nearly impossible to tell the difference in this hardware and metal, steel and iron hardware. 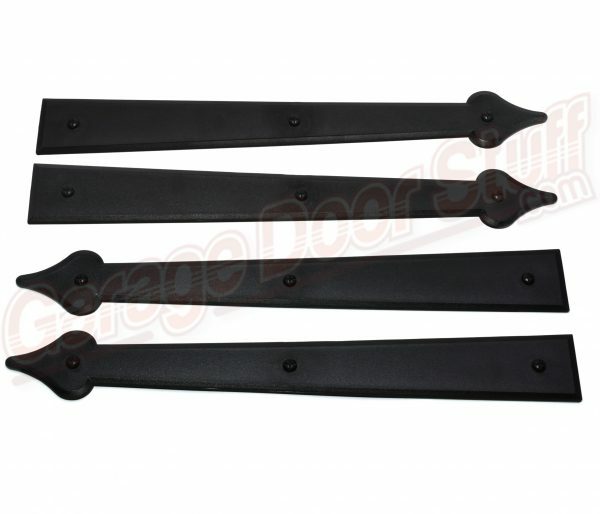 The molded fasteners are a perfect match to the hinges and handles and really add a nice finished look to these items. Being magnetic, there is no need to drill holes into the garage door. Also, you can easily move the hinges and handles around on the door for that perfect placement. 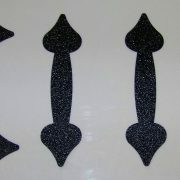 These are easily removed and do not leave any marks or residue on the door. If you want to go back to just the plain garage door, simply pull these off and your all set, no drill holes to deal with. 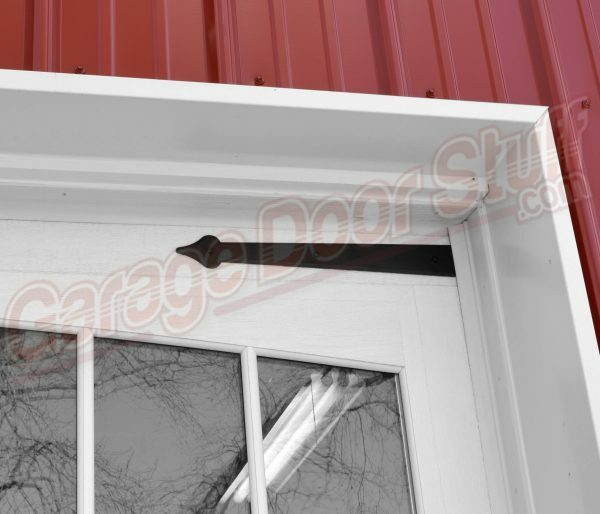 These will adhere to any steel surface, if you are unsure that your garage door is steel, see if a refrigerator magnet will stick to the door, if so, yes, the door is steel and these items will work on your garage door. We have also installed these on entry doors and they look great. They mount to ANY steel surface. 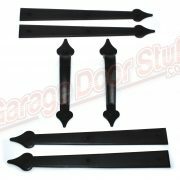 We offer an extensive line of decorative garage door hardware. 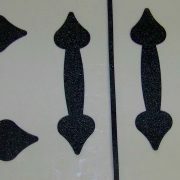 We have many types and styles of hinges and handles.